Are you one to point out all those hidden Marvel references? Part of the joy of watching a Marvel movie is going back time after time to spot hidden details and references to the comics and other Marvel characters and films. These particular Captain America: Civil War Easter eggs are just a few that are scattered throughout the entire movie. The speech that was given by Peggy’s niece, Sharon Carter, is a direct nod to the comic books. In the comic book, Captain America gave this speech almost word-for-word to Spiderman about Peggy. 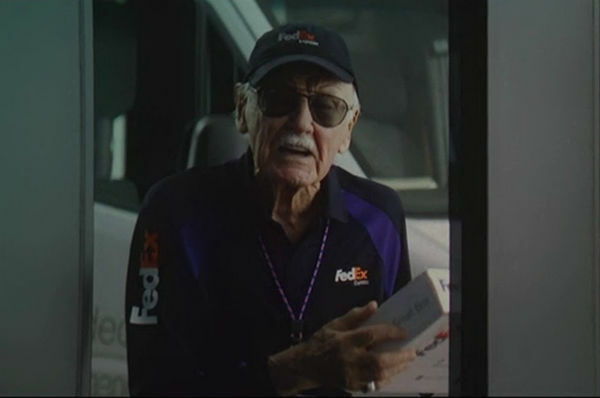 You can’t have a MCU movie without involving a Stan Lee appearance. His role as a FedEx delivery man introduces yet another Easter egg. The letter he is delivering is from Steve Rogers to Tony Stark. This is an event that occurred within the comic book world in only a slightly different context. You might have recognized Vasily Karpov, the Soviet officer from somewhere else. A Marvel movie? Yes. The same actor played a soldier on a Soviet vessel in of X-Men: First Class. Within the comic book world, the Dora Milaje are both female warriors and the bodyguards of the Black Panther. Within the movie, there is a female that walks T’Challa to his car that could very well be a part of the Dora Milaje. When the Avengers are imprisoned on The Raft, Clint Barton teases Tony Stark by calling him “the futurist”. Of course, he’s mocking his future-vision abilities but could he also be mocking Robert Downey Junior’s debut music album, ironically titled, “The Futurist”? All throughout the movie, Vision can be seen wearing sweaters and polos. This is a nod to the comics during the 1970s and 1980s where this was what Vision would wear when hanging out at Avengers Mansion. If your Sharpe eye noticed this one, consider yourself a true Marvel fanatic! The credits referred to this particular character as a certain “Miriam”. Could she be the infamous “Miriam Sharpe”? It’s a coincidence that this woman in the film and Sharpe from the comics lost a son, no? Another nod to the comic books comes from Ant-Man and Hawkeye. There is one scene in the movie where Ant-Man is seen riding one of Hawkeye’s arrows which came directly from the comic book. Oh we do enjoy these awesome Star Wars references in Marvel movies! Civil War gives a nod to The Empire Strikes Back when Bucky loses his replacement limb after being blasted by Iron Man. One of the more unique romances in the comics is between Vision and Scarlet Witch who end up married. There was a definite chemistry between these two in the movie that was a direct acknowledgment of this comic book romance. During a flashback in Civil War, Hydra agents program Bucky using a bunch of random words, one including “homecoming”. This particular aspect of Captain America: Civil War may offer a connection and good old tease for the Spider-Man: Homecoming movie. Throughout the comics, Falcon is often accompanied by an actual Falcon that he has a telepathic link with. In the movie however, Falcon has a small drone called Redwing that can easily be seen as a reference to his companion. At the end of the movie, the captured Avengers are kept in a prison that is called The Raft. In the comics, The Raft was a super-villain prison that was often used. 16. Arrested Development in the Marvel Universe? One not so obvious Easter egg in the movie is this vehicle, which may be more familiar to Arrested Development fans. Directors of Civil War, The Russo Brothers got their big break into television with their work in the series, Arrested Development. The Bluth family’s vehicle can be spotted in the background when Ant-Man shows up with a miniature truck for ammunition. There is a scene in the movie that shows Captain America holding up his shield to block a blast from Iron Man. This scene is a recreation of one of the most famous from the Civil War comic books. In the Civil War comics, Tony Stark gives Spiderman an upgraded version of his suit. This is another part of the comics that is seen within the movie. Perhaps this is an Easter egg, perhaps it isn’t. Disney fans would probably agree with the former. Bucky is held down in a cell marked with “D(eck) 23” Does this give a small nod to Disney’s ultimate D23 event? These are some of the most easily spotted Easter eggs in Captain America: Civil War. They offer a tantalizing glimpse into both the Civil War comic book world and the upcoming movies that are planned by Marvel. Want to check out more hidden messages, clues and nods in the MCU? Have a look at our list of Easter Eggs in Guardians of the Galaxy 2!